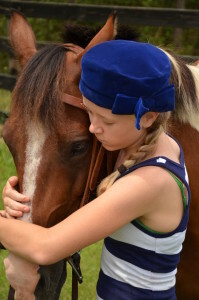 Both our Day Camp and Residential Camp Horses are steady mounts that are appropriate for riders who want to learn to ride, improve riding skills and have a great time. 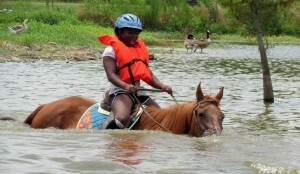 They have a variety of training and abilities to suit riders from their first ride to teaching them advanced riding skills. 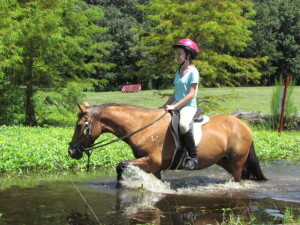 Sunny wading through water on a trail ride. 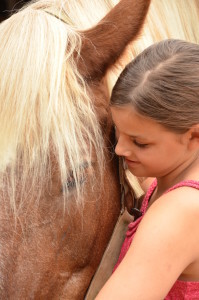 Grace loving on her camp horse. 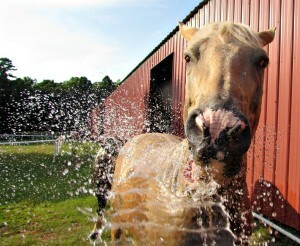 Simon Says having a shower and a drink from the hose. 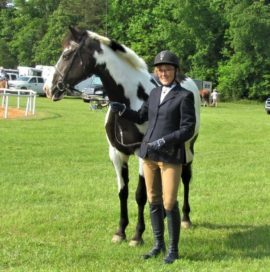 Heidi sharing a quiet moment with her rider. 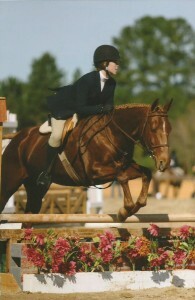 Ricochet showing in a Hunter Class. 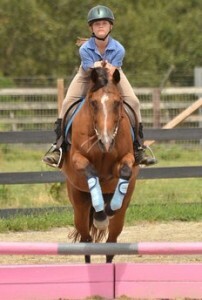 Ricochet is always eager to take on a course. Arizona is a steady mount for riding through the trails. Connect the Dots playing in the field after camp. 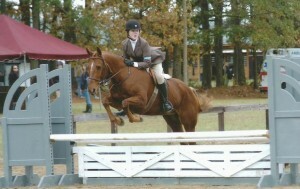 Emma showing good form over fences. 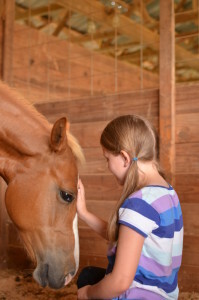 Iris enjoying grooming time with her camper. 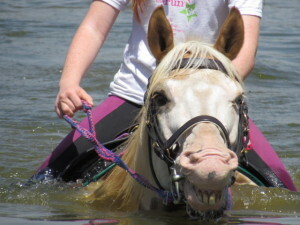 Bumble Bee’s favorite thing is a swim on a hot summer day. 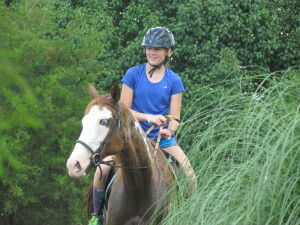 Dream Catcher is all smiles at horse camp. 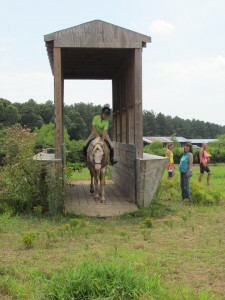 Dream is fearless going through the covered bridge. 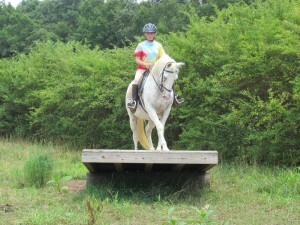 Tomahawk masters the see saw on the Extreme Cowboy Course.